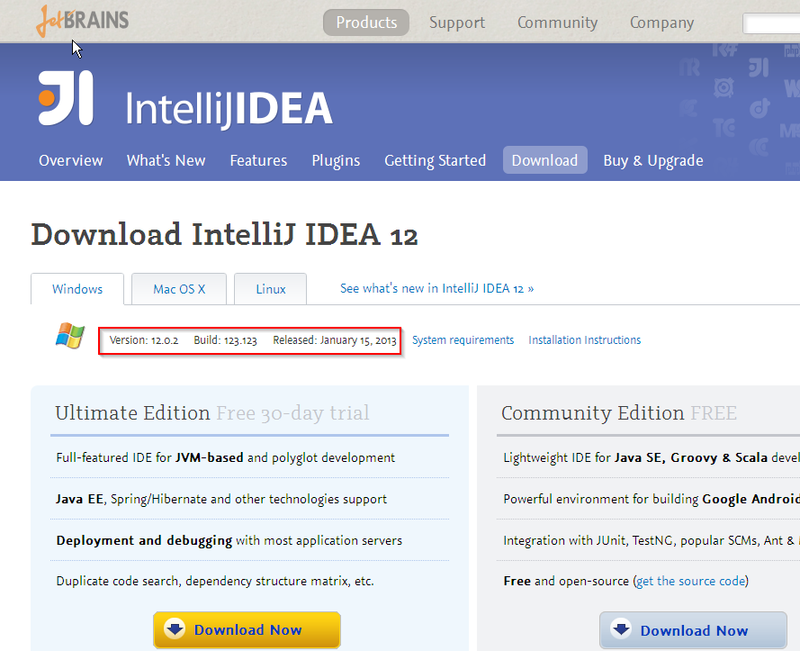 My IntelliJ reminds me there is a new version available for download, but when I check the download site, the version is not there. This has been going for a little while now. What could be the problem? But that's not what the "Download" link takes me. At the moment I am not interested in EAP, and I am not using one. The one I use is normal release, and the prompt did not indicate it's a EAP, nor did the Dwoload link point there. Why bother users with prompt if it's not official release? Ah, I now do see the second line in black letters that says "12.0.3 RC". And I do see I have options on what to receive as update during check in the IDE Settings. BTW, I would say that two release lines is confusing for user. Perhaps it's more clear to just display one line (first one) as "12.0.3 RC:" instead of second line and not's in bold. Hard to see.